Download Blu-ray Playing software Mac OS X Snow Leopard FREE to play Blu-ray movies on OS X Snow Leopard 10.6, which can not only play Blu-ray disc or its ISO files on Mac or PC, but also on iPhone, iPhone 4, iPhone 4s, iPhone 5, iPad, iPad 2, the new ipad 3, iPod Touch 4g, iPod Touch 5g, Apple TV, Apple tv 2, ATV 3, etc with original quality. Blu-ray Player Mac OS X Snow Leopard can support all media formats of movie, video, audio, music and photo. It is multilanguage supported and easy handled with user-friendly interface. After adding DTS5.1 into it, Mac Blu-ray Player can bring your Mac to the most popular Blu-ray or Blu-ray ISO HD video enjoyment. The strong compatibility of Mac Snow Leopard Blu-ray Player supports Mountain 10.8, Lion 10.7, Snow Leopard 10.6, Leopard 10.5. Mac Blu-ray Player OS X Snow Leopard plays any commercial Blu-ray disc/DVD released in different regions. Only by live internet connection, can it load and play the BD/DVD or ISO video directly and play it without any quality loss. Step 1: Insert your BD into the Blu-ray driver. 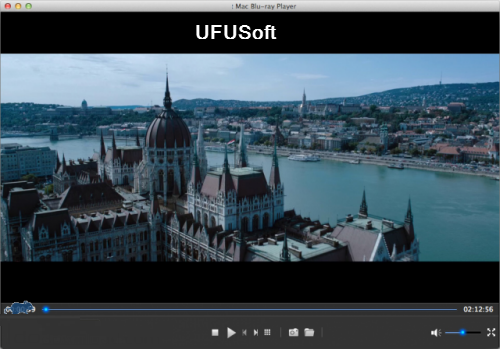 Download and install the UFUSoft Mac Snow Leopard Blu-ray Player. Then Run the program and two buttons are in the middle of the interface: “Open File” and “Open Disc”. Step 2: Click on the ‘Open Disc’ button and select the BD in the pop-up dialogue. After a couple seconds of loading, you can enjoy the Blu-ray movies on OS X Snow Leopard 10.6 freely. Now you can enjoy the high HD Blu-ray disc or Blu-ray ISO Files with super high audiovisual quality on Mac OS X 10.6 Snow Leopard. More info, please enter Mac Snow Leopard Blu-ray Player.